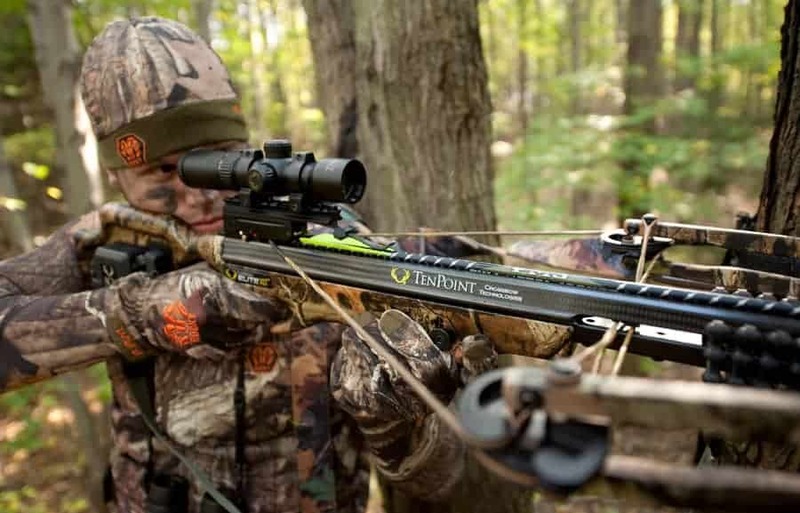 To achieve the best crossbow hunting experience, you must have a complete and efficient gear. One of the accessories that every crossbow must have is a scope. It helps you improve your accuracy and take down prey from a far distance. With that in mind, we listed out the best crossbow scopes in the market today! This is to help fellow hunters, like you, attain products with great quality and value. 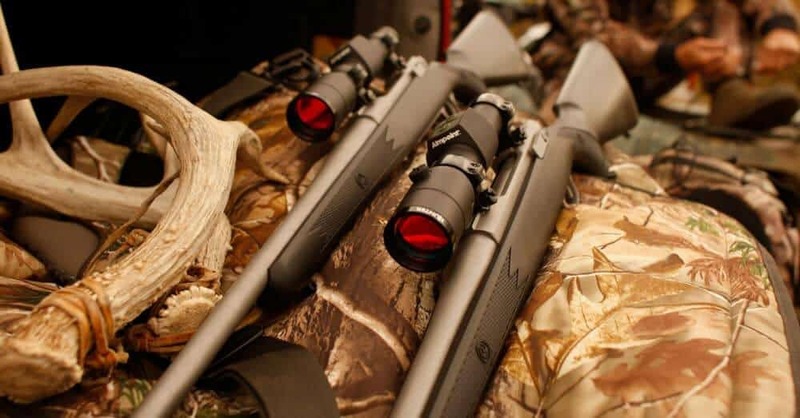 There are lots of crossbow scopes in the market but how can you identify the best in them? Through this best crossbow scope review, we list out six scopes that are worth your money and at the same time, qualify with our standards. If you tend to hunt in low light conditions, the Shadow Zone could probably be your best bud. It has basic design features such as the multiplex crosshair/reticle system that adjusts the crosshair spacing at an increment of 10 yards. 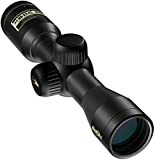 From its magnification power range, this scope is not as powerful as its peers. But its strength lies in its light gathering capability which makes it high spec in its respective price range. The scope can gather light as much as 92% which is very advantageous when you do your hunting at dawn or dusk. The scope has a multiplex reticle system starting at 20 yards to 50 yards. So when you sight in with the Shadow Zone, it’s recommended to start at 20 yards. Calibrating is done through setting the velocity that matches your scope. Know that the Shadow Zone functions perfectly if the crossbow’s speed is between 250 and 350 fps. If you’re hunting a deer, you can manage to take it down at 60 yards. The scope is parallax-free at 30 yards but increases a little bit until at 50 yards. This shouldn’t be a setback as the sight images are clear and have perfect contrast. 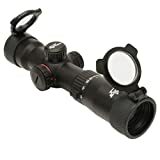 Moreover, the scope is illuminated in either green or red that you can set in five ways – making this scope the best bud when hunting at dark. Mounting the crossbow scope is easy through 1” rings, but those rings don’t come with this Shadow Zone package. One more thing to know is that the Shadow Zone has a specific velocity range where it should work properly. Newer models of crossbow that have more than 350 fps speed won’t be compatible with this one. The Shadow Zone is made out of aircraft-grade aluminum to resist shock. The optics are also multi-coated with nitrogen to make it fog proof and waterproof. 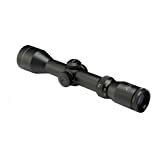 This scope comes as a standard accessory for the Matrix series of crossbows by the same manufacturer. But you can install Tact-Zone on other crossbows be it a lower spec at 275 fps to high spec crossbows reaching at most 415 fps in speed. If you’re into hunting at far distances, Tact-Zone scope works best for you. Its lowest power is at 2.5 and could go higher up to 6x. The field of view does not appear to be lacking at 6x, so you can see clearly at 20 feet with fast target acquisition. At 2.5x power, the field of view is estimated to be 45 feet. Tact-Zone is also good in low light conditions. It has a high light transmission rate which gives you fantastically clear images with high resolution at various zoom levels. The reticle is illuminated in either red or green and can be set at five intensity levels. Target acquisition is rapid with this crossbow scope as it has half-inch click adjustments from 20 yards. Sighting in doesn’t break a sweat because there are markers to display the numbers according to the yardage. Installing the scope on your crossbow needs 1” rings, and they don’t come with this scope. You will have to buy it separately. Once you have the rings, mounting it poses no other difficulties. Sighting in the Tact-Zone is hard at first because you need to fine tune the compensation markers to your crossbow. Set the velocity of the crossbow to the velocity wheel of the scope, and you’re done. The markers would stay accurate at 60 yards. 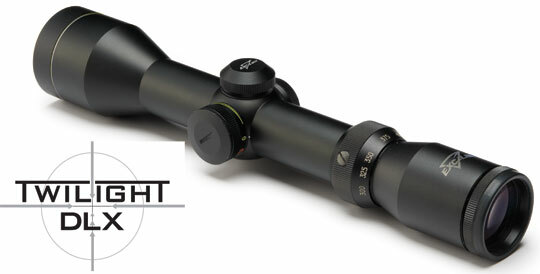 Like other Excalibur scopes, Tact-Zone is made out of aircraft-grade aluminum with its optics coated with nitrogen. These two make up the fog proof, shockproof, and waterproof capabilities of this scope. Twilight DLX is no joke especially for hunters who desire to take their hunting performance to the extremes. This one’s larger and bigger than other Excalibur scopes mentioned but this would be worth it to try out. Twilight DLX works best with crossbows at 300 to 400 fps. So, this can satisfy most crossbow models on the market. The 44mm objective lens’ function is to gather as much light as possible which gives you a bright, clear, and balanced images through your scope. Twilight DLX is exceptionally good in low light conditions with the help of the 30mm tube that makes up for unimpeded light transmission. Moreover, the illuminated reticle which comes in either green or red assists considerably in low light conditions. Though it has a maximum power of 6x, the field of view is generous. At 100 yards, the field of view at the same setting is at 50 feet. This leads to fast target acquisition. One obvious drawback for Twilight DLX is its bulky appearance. With 12.9x2.9 dimensions and weight of 1.4 pounds, this scope would fit tightly into the crossbow case. Just like other Excalibur scopes, you may need to buy 30mm rings separately. Twilight DLX is easy to sight in and comes with two dials to adjust the windage and elevation. There’s a velocity dial that you can rotate depending on your crossbow’s specs so that the reticle lines are precise in 10-yard increments. As a standard feature among the Excalibur scopes, the aircraft-grade aluminum, fully multi-coated optics through nitrogen allows the following functions (fog proof, shockproof, and waterproof) to take place. If you’re looking for versatility, this scopes works best for you. It caters various crossbows as long as their speed range from 270 to 425 fps, making it a must-have if you are a fast shooter. This Hawke scope’s magnification level can reach up to 5x while still retaining its field of view and light gathering capability. The field of view at 100 yards starts from 22.5 to 75 feet. Then, the light transmission is high and enhances the image sighted through the scope which nullifies the dark surroundings. Even in low light conditions, it will look like it’s still daytime through the help of coated optics and dual color illumination. Reticles can either be red or green, and each color has five intensity levels that you can adjust through a rheostat. Shooting accuracy is improved by the markers with increments of 10 yards starting from 20 until 100 yards. Installing isn’t difficult, and the velocity can be adjusted with no tools required. Once you input the velocity, the magnification will automatically change. 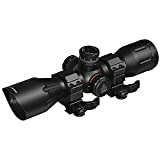 Since both of the magnification and velocity are adjusted at the same time, you may find it a hassle because once you select the speed, the magnification will also change. This might be a conflict in your next hunting trips like when you need to zoom in, but you don’t want to alter the speed of your crossbow. Installing the crossbow scope needs a separate purchase for the rings. This Hawke scope is overall a tough one as its features like being made out of aluminum, and fully multi-coated optics deliver weatherproof capabilities. 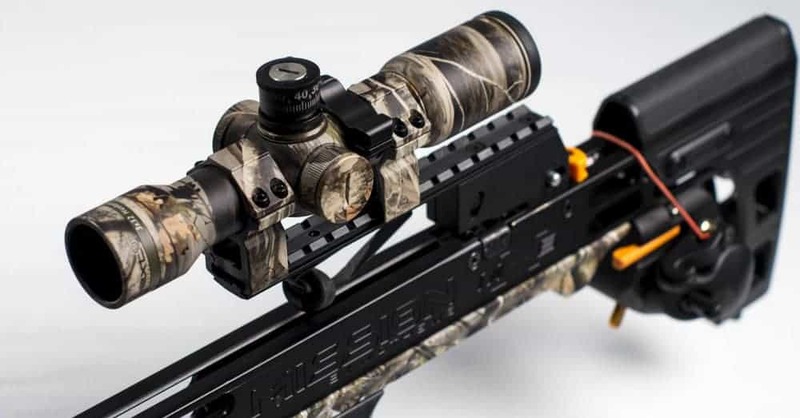 If you’re shopping for a crossbow scope but on a fixed budget, Bolt XR might appeal to you. 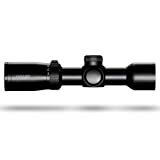 Not only for its affordability, but this scope is also known for its light transmission, making it a deal breaker for those who like to hunt in low light conditions and nearer distances. Though it doesn’t have any illuminated reticles, Nikon guarantees maximum brightness and contrast. Given a 92% light gathering capability, the sighted image through the scope remains as fine as ever. The field of view is generous at 35.6 feet at 100 yards. 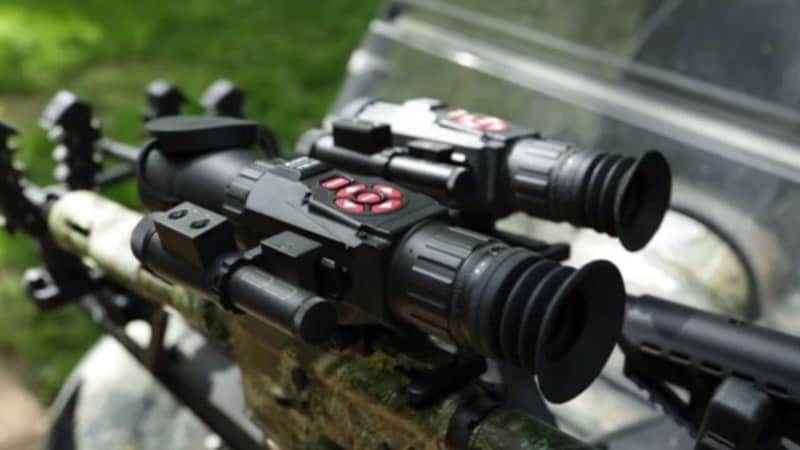 Bolt XR is an optical sight that has fixed power. Thus, your accuracy is guaranteed a little bit beyond 60 yards. One obvious drawback for Bolt XR is it couldn’t work well with crossbows above 350 fps which is very limiting compared to other crossbow scopes. Furthermore, the BDC 60 stands for Bullet Drop Compensation, a patented reticle with ballistic circles which serve as aiming points. This allows you to shoot at smaller animals even if they are far without obscuring your field of view. With a 3.4-inch eye relief, sighting in the Bolt XR has no difficulties through the zero-reset turrets. These allow you to sight-in starting at 20 yards, and simple dialing-in is needed for subsequent ranges. It is parallax-free at 20 yards, too. Though it has an affordable price, this is still popular among the crossbow scopes as UTG appears to be well-built and accurate. Given its price range, it’s expected that the crossbows this one caters are limited. The Pro 5-Step Reticle is specifically designed for crossbows with speed at 300 fps. Going more than that, and the accuracy of the bolts would then be limited. But the field of view is majestic and enough to rapid target acquisition. The reticle can be illuminated in either red or green which can be switched through the side wheel dial found on the side of the scope. This, together with the broadband lens, improve your chances of seeing in low light conditions significantly. By the way, you can turn off the illumination to display black reticle to make it perfect for daytime use. Sighting at a prey a little beyond 50 yards is all this scope is capable because it’s a fixed power type. One thing about the reticle is the five lines crossing the diameter. They tend to obstruct the field of view which could be troublesome. UTG uses TS Platform that strengthens its external appearance to make it weatherproof and shockproof. Moreover, there’s an integrated sunshade that eliminates glare from the sun. Installing it on a crossbow requires a Picatinny﻿ or Weaver rail. Just like in rifle shooting, hunting at far distances would be tough if you don’t install a scope. Scopes of today are duly enhanced that you can see over 100 yards away and even calculate the flight track of your arrows. Crossbow scopes fall into two major categories: the red dot scopes and the optical scopes. Both of them have their advantages and disadvantages. It’s up to the buyer whether it suits your preferences or not. This kind of scope has no magnification, making it just a simple sight. But your accuracy can be improved because there’s a red dot placed on the center that will guide you to the pinpointed specifics of prey. Red dot ﻿scopes also have a multiple dot version wherein each dot represents a fixed distance in various increments. The visibility through a red dot sight depends on the field of view and the brightness of the dot. If you’re planning to hunt in a surrounding with plenty of light, then you will have to adjust the red dot’s brightness upwards. If you hunt at low light conditions, the field of view will then be less visible. So you may need to dim the brightness of the red dot to sight a clearer image. This is similar to other hunting scopes where there’s magnification to make the target appear nearer. It must be noted that the higher the magnification, the lesser the light gathering will be for the scope. Optic sights are either fixed power or variable power. A fixed power scope only has one power setting which means that the magnification can’t be set higher or lower, it remains constant. However, you can use a diopter ring located at the back to sharpen the magnified image when focused. Fixed power scopes typically have illuminated reticles that are useful in low light conditions. The illumination is either in red or green that is in dial form found on one side of the scope. Of course, you can adjust the brightness of that light depending on the surrounding light. The other type of optics scope is called variable power scope given its capability of zooming to increasing magnifications ranging from 3x to 15x. The power adjustment is aimed to change the scope’s aim points, so it matches the drop arrow based on the overall speed by the arrow and crossbow combination. Hunters who use this scope are more capable because they don’t need to change their sights when hunting different kinds of game. Crossbow scopes differ significantly in their features and specifications which might make it hard for a newbie to take in. Before buying a scope, you should check carefully if the manner of installation is compatible with your crossbow. Thankfully, crossbow scopes are easy to mount and to calibrate. Common mount types are the Picatinny, Dovetail, and Weaver rails. There are also crossbow scopes that could be mounted through rings which is an easier method. As you know already, magnification is only present on optics sights. One thing to know is the more powerful the scope, the same is the level of magnification to look for. The magnification power of 3x maintains accuracy up to 50-60 yards. Higher than that and you can reach more than 100 yards. This scope characteristic is about the apparent movement of objects within a field of view inside the reticles. The parallax for the scope should be adjustable to the amount you prefer to maintain your shooting form. If it’s not set properly, sighting in would be hard and can affect target acquisition. As mentioned previously, the higher the magnification power, the lesser the gathered light would be. Thus, this can affect the target image that you see through the scope which would make it hard for you to see in low light conditions. A scope with an excellent light gathering capability produces a bright and clear image that could make you see them critter at low light. The field of view is about the amount of terrain visible in a particular range. The distance speaks about how much terrain you can see through your scope in order to track your prey. Thus, the higher the field of view in a scope, the faster you will be able to acquire the target. Like all other hunting scopes, looking for the best crossbow scope subjects to many factors that must be considered. Through our best crossbow scope reviews, you now have an inkling on what to look for in a scope to match it with your best crossbow.